Let’s just say that mother nature is absolutely amazing in that she makes you completely forget the terrible parts of pregnancy so that you think it’s a good idea to do it all over again!!!! At 36 weeks, it is all coming back to Nina. The sleepless nights, the aches and pains, and the surreal feeling of the baby moving around inside her belly! 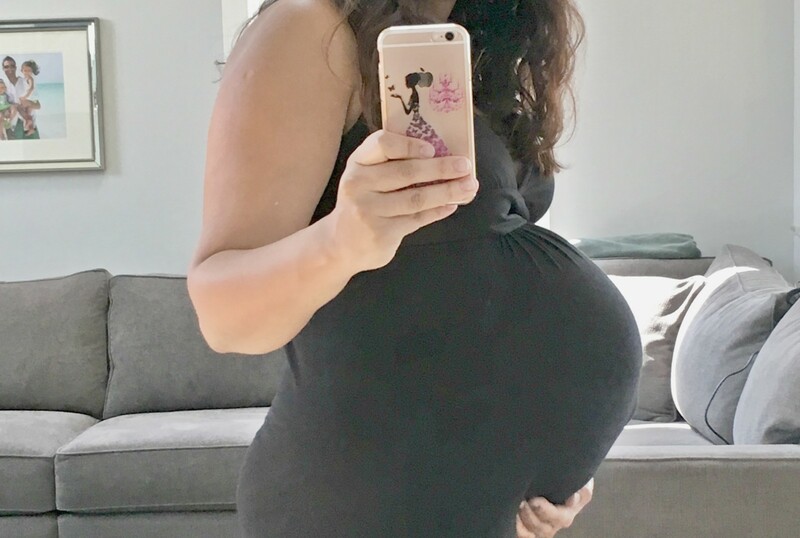 Everyday it is getting a little bit harder to get up out of bed with the increasing baby bump, there is a little bit of swelling around her ankles (nowhere near what she had with her last one), and the back pain is getting just a little less tolerable. The things that she finds really frustrating at this point is not being able to reach the bottom of the sink to do the dishes, not being able to bend all the way over her sink while brushing her teeth, and occasionally bumping into doors and handles because she doesn’t realize how big her belly is!!! You would really think this is her first rodeo! 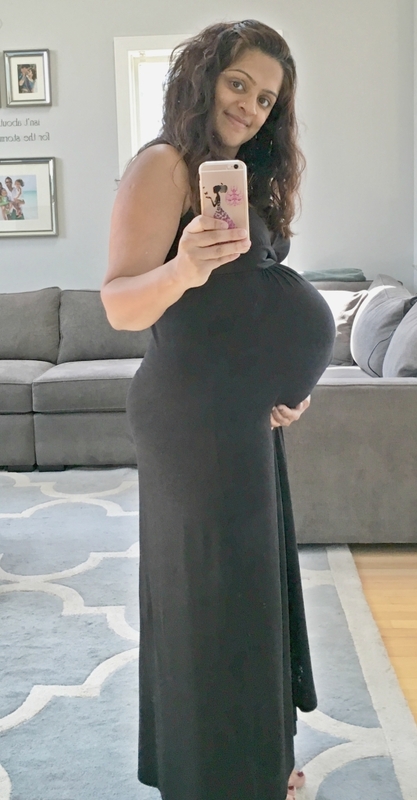 She is at the point where only maxi dresses are comfortable and even the thought of leggings are making her cringe as the elastic part around the belly is pulling at her already stretching skin making it very uncomfortable (she also does not want to buy any new (bigger) clothes with only a few weeks to go!!!). The girls are still really excited and now have started making space for their future brother or sister. Niva has taken it upon herself to tell all her teachers that mommy is having a brother for her and a sister for Naya – and so now everyone at their school thinks Nina is having twins… HAHA!!! Kids! Other than that, Nina bunked the girls in the same room and so far it is going okay. They are still trying to work through the occasional wake ups at night, but Nina is determined to make this work!!! The nursery is being prepped with some neutral decor as Nina is reluctant to go with a neutral nursery knowing this is her last rodeo – so after the baby gets here she will go all out on the last nursery! Nylo is still his awesome self and enjoys when there is anyone over that gives him attention before the girls!!! The boys are excited too – it’s really cute to hear them say things like “when the baby comes out of Nina Masi’s/mommy’s tummy – we are going to XYZ…”. Neal is in full nesting mode. He purchased a new car for Nina that will accommodate all three kids and the dog and cargo for a family of 6!!! 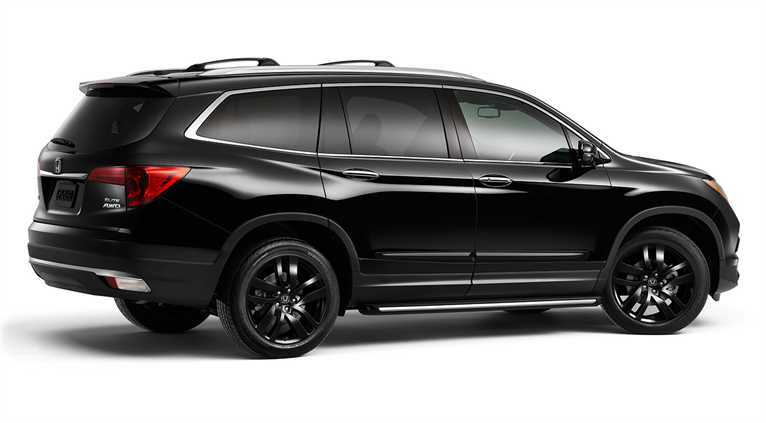 After a LOT of research and test driving, they ended up going with the 2016 Honda Pilot – especially given the exceptional safety ratings. Let’s hope it works for them!!! Both girls are excited to sit in the third row and have been fighting over who will get to sit back there once the new car comes. Other than that, the regular dad anxiety of “how are we going to function with you in the hospital for 4 days? !” is ongoing… especially Nina who is a control freak! We are sure it will all be fine since all the family is close by completely ready to start helping as soon as this baby gets here! Everyone in the family is excited for this baby to get here! The bets have started on the gender and weight! Interestingly enough, the whole family is split 50/50 on the gender. Even Nina and Neal have no idea, which makes this last stretch that much more exciting!!! We cannot wait to see our newest addition and eat the baby all up!!! They already have their names ready to go too – one for each!!! AHHHH so close, we will DEFINITELY keep you all posted on all the details as soon as this baby makes its grand entrance into this world! What team are you rooting for: Team Girl or Team Boy?!?! ?